The DC Sustainable Energy Utility (DCSEU) has been afforded a great opportunity to further expand its work in the Low Income space, via the NEW Low Income Prescriptive Program. This is a prescriptive program that will provide enhanced rebates for qualifying Energy Star or DLC listed Light Bulbs, Fixtures and Sensors installed in a multifamily properties, shelters, or clinics that serves income-qualified District residents. d. Buildings where there are contracts or other legal instruments in place that assure that at least 66% of the housing units in the building will be occupied by low-income households. If you are interested in submitting a project or projects for consideration or if you would like to know more. Feel free reach out to the DCSEU team by emailing IncomeQualified@dcseu.com. Please also forward this email to others in your network who may be interested in taking advantage of this opportunity. 0 Comments/in HAND News, Opportunities /by H.A.N.D. Three years ago, HAND launched GenerationHAND, an initiative designed to exclusively support practitioners who are on the rise within the affordable housing and community development industry. The goal of this initiative is to provide needed tools and guidance to our “emerging leaders” as they pursue successful careers in the public and private sector. Through a wide variety of dialogues, panel discussions, volunteer events, and professional development activities, we strive to embolden the individuals who will be doing the hard work of creating and preserving affordable housing in our communities. On Thursday, November 8, 2018, GenerationHAND will host a SoulCycle Fundraiser. Funds raised will directly support scholarships awarded to graduate students studying real estate, urban planning and other fields within community development. -Applicants must be enrolled in a graduate program at a university or college in Washington, DC, Maryland or Virginia. -Applicants must be studying real estate, urban planning or a related field within community development. -The award will go towards the 2019 Spring Semester. –All applicants are required to join HAND (at the Student membership level). If you are already a member of HAND via an organizational membership, please email Courtney Battle, HAND’s Membership Manager, at cbattle@handhousing.org before moving forward on the application. -You can fill out an electronic application here. The deadline for all submissions is 5:00 pm, November 16, 2018. -All submissions will be reviewed by an independent committee, and winners will be honored at HAND’s Annual Holiday Mixer in early December. Winners will be notified by November 30, 2018. If you have any questions, please email cbattle@handhousing.org. Good luck! The District of Columbia Green Finance Authority Establishment Act of 2017 (GFA bill) was unanimously approved by the Council of the District of Columbia (Council) in June 2018 and completed Congressional review on August 22, 2018. The Act will establish the District of Columbia Green Finance Authority (GFA or DC Green Bank) as an innovative quasi-public instrumentality of the District government that will facilitate private investment in clean energy technology and green infrastructure by leveraging private capital, removing upfront costs, and increasing the efficiency of public investment in sustainability. What steps, tools, and information are needed to prepare for the successful launch of the Green Bank and how can the grantee assist DOEE and the DC Green Bank in conducting those activities? The deadline for applications is November 5th, at 4:30pm. The Request for Applications and support documents can be found on the DOEE website, https://doee.dc.gov/node/1360726. Additional information and questions may be emailed to 2018GFAdevelopment.grants@dc.gov. 0 Comments/in HAND News, Opportunities, Industry Highlights /by H.A.N.D. 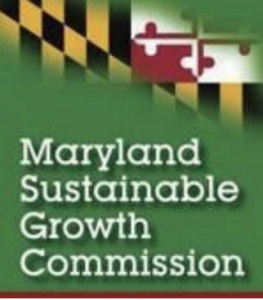 The Maryland Sustainable Growth Awards are presented annually by the Maryland Sustainable Growth Commission and are the highest level of recognition for well-planned economic and community development and sustainability in the state. The Maryland Sustainable Growth Commission is seeking nominations from all parts of the state for the people, projects, organizations and communities that have advanced innovative policies in furtherance of the Twelve Visions. MORE DETAILS: Read the award brochure here. SUBMIT A NOMINATION: Download a nomination form here. DEADLINE: All nominations are due September 21st. Through the support of Virginia companies, foundations, and individuals, VCC wants to create affordable and workforce housing for more Virginians than ever before. Its goal is to raise $10 million toward the creation of affordable housing in Virginia’s most vulnerable communities. 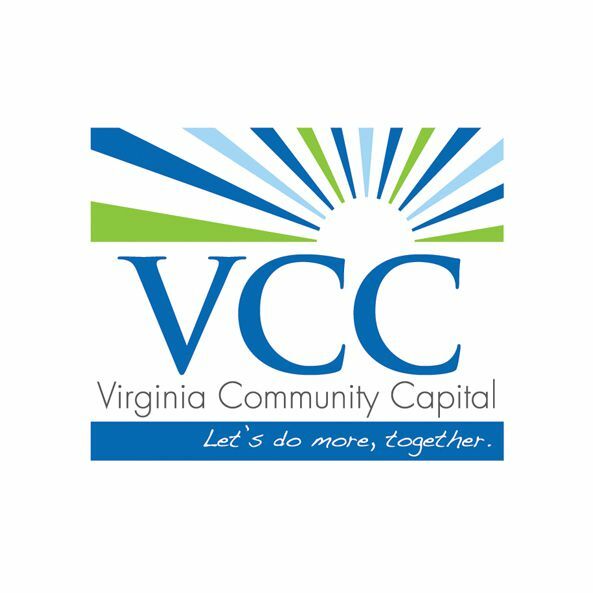 VCC will reach its goal through your FDIC-insured bank deposit (up to $250,000) – which will grow at a market rate and provide VCC Bank with the capital required to create more affordable and workforce housing throughout Virginia. Check out this flyer for more details. Plus: VCC is sharing a SPECIAL OFFER! In an effort to support increased lending to revitalize communities, VCC is offering a special Affordable Housing 18 month CD at a great rate of 2%/2.02% APY. Please consider impact investing, to help make housing affordable for all. This offer expires December 31, 2018. If you are interested or have questions, contact Tim Grimes at tgrimes@vccva.org. 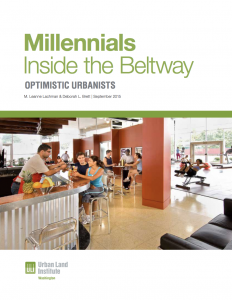 ULI Washington conducted a 2015 Millennial Study to find out the influence that the Millennial generation is having on the underlying fundamental values in Washington and its close-in suburbs. 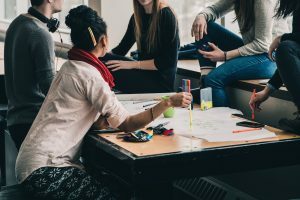 While it is difficult to predict whether their presence will truly shift our ways of living, working, and collaborating, this survey sought to examine how the generation might influence trends in housing, entertainment, retail and transportation because of their entrepreneurial spirit and the rise of the sharing economy. There is also interest in how their needs will change as they grow older and form families. The 2015 survey served as a baseline to track trends over time, especially as more Millennials marry and have children. The survey also provided information for public officials and the real estate industry as they create policies and products to respond to the needs of this cohort. Three years have passed since the first report and ULI is conducting the study again to see how the baseline information has changed over that time. In 2015, there were over 1,300 respondents. The survey screens potential respondents to be sure they are in the desired survey cohort who are under 35 living within specific zip codes within the Beltway. If you would like to participate, visit this link, and also share with your colleagues, constituents and friends. The survey takes less than 10 minutes to complete and will be open for at least the next two weeks. 0 Comments/in HAND News, Areas Of Need, Opportunities /by H.A.N.D. 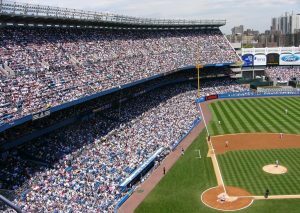 HAND is pleased to announce that it has partnered with the Washington Nationals to provide an exclusive discount code (on the game of your choice) for the first 50 luncheon table registrations to the 27th Annual Meeting & Housing Expo! Recipients of this special offer will be notified via email. You can register for Annual Meeting on our website here. Should you have any questions about the promotion or registration, email HAND’s Membership Manager, Courtney Battle at cbattle@handhousing.org. We look forward to seeing you in June! 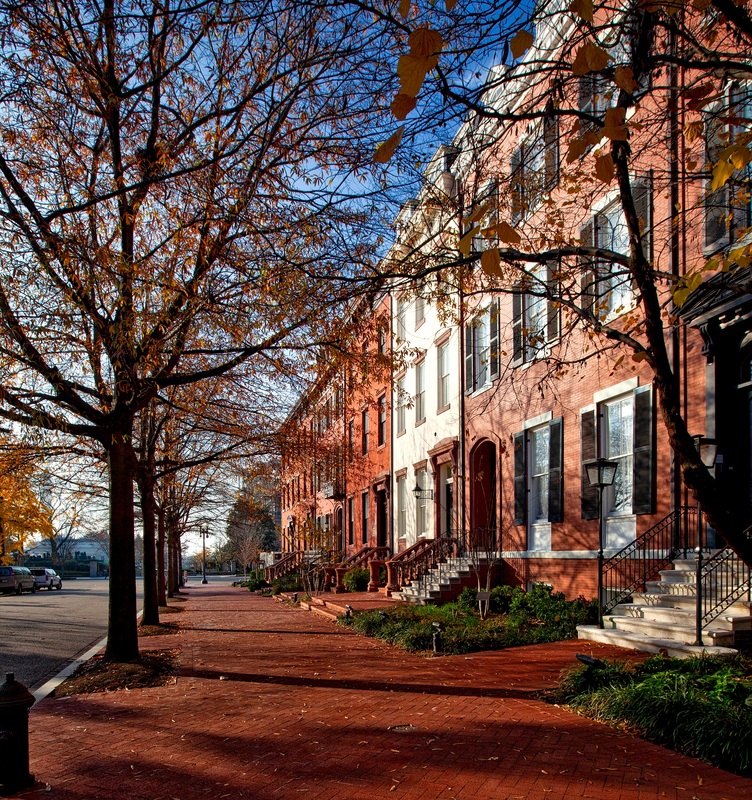 Amid DC’s housing affordability crisis, one solution stands out: flexible, outside-the-box ways to increase housing supply. Accessory dwelling units (ADUs) have potential to be one flexible solution. ADUs improve sustainability by creating more resource-efficient housing; improve housing affordability by adding new supply in previously inaccessible places; and reap both social and financial benefits by promoting intergenerational shared housing for homeowners and renters. Homeowners still face a series of practical barriers to building ADUs on their property: determining appropriate design options, assessing feasibility, securing financing, navigating the permitting process, developing working relationships with architects and builders, managing the construction process, and ongoing property management. Presented by the Coalition for SmarterGrowth, DC ADU Workgroup, AIA|DC, and ULI Washington, “Reinventing the Home: How accessory dwelling units (ADUs) can be a bigger part of the housing solution for DC” will convene resources, experience, and stakeholders to begin to address these challenges, and bring ADUs, as a new generation of housing supply, to scale in the District of Columbia. Learn more about this event and register here. 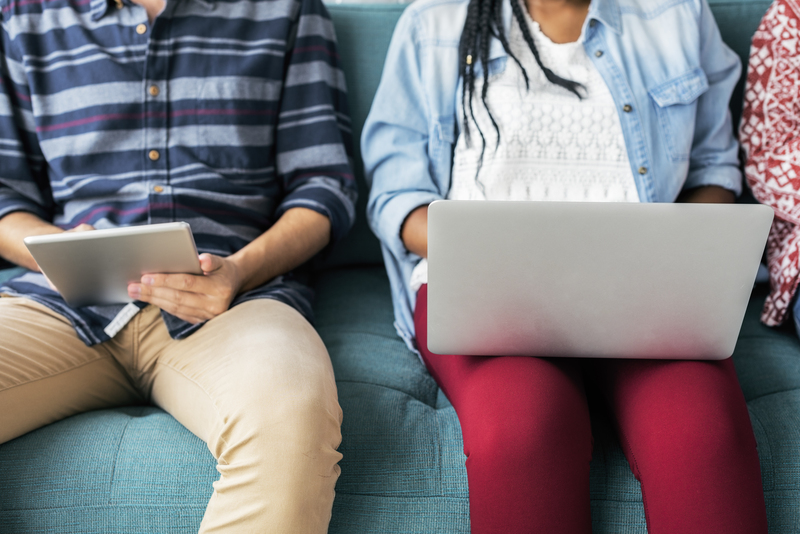 Two years ago, HAND launched GenerationHAND, an initiative designed to exclusively support practitioners who are on the rise within the affordable housing and community development industry. The goal of this initiative is to provide needed tools and guidance to our “emerging leaders” as they pursue successful careers in the public and private sector. Through a wide variety of dialogues, panel discussions, volunteer events, and professional development activities, we strive to embolden the individuals who will be doing the hard work of creating and preserving affordable housing in our communities. On Saturday, October 28, 2017, GenerationHAND will host a SoulCycle fundraiser. All proceeds from the event will directly support graduate students studying community development, real estate, urban planning or related fields in the metropolitan Washington, DC region via four $500 scholarships. -Applicants must be be studying community development, real estate, urban planning or a related field. -The award will go towards the 2018 Spring Semester. –You can fill out an electronic application here. The deadline for all submissions is 5:00 pm, November 17, 2017. -All submissions will be reviewed by an independent committee, and winners will be honored at HAND’s Annual Holiday Mixer on December 13, 2017. Winners will be notified by December 1, 2017. If you have any questions, please contact HAND’s Membership Manager, Courtney Battle. Good luck! Ballard Spahr is thrilled to announce its 12th Annual National Housing Symposium – Housing Health & Wellness Checkup! Join nationally recognized affordable housing leaders and innovators for a dynamic discussion about the current health of the housing industry. Stay tuned for a full agenda and registration information! The Symposium offers a dynamic look at affordable housing and will be valuable for developers, investors, syndicators, lenders, and governmental agencies that are developing, financing, and operating affordable housing. This is a complimentary conference. A continental breakfast and lunch will be provided. There will also be a reception following the Symposium. Attendees are responsible for travel and hotel accommodations. For more information, contact Jennifer D. Boehm at boehmj@ballardspahr.com, or Lisa M. Cheresnowsky atcheresnowskyl@ballardspahr.com. For sponsorship opportunities, contact Amanda Paola. 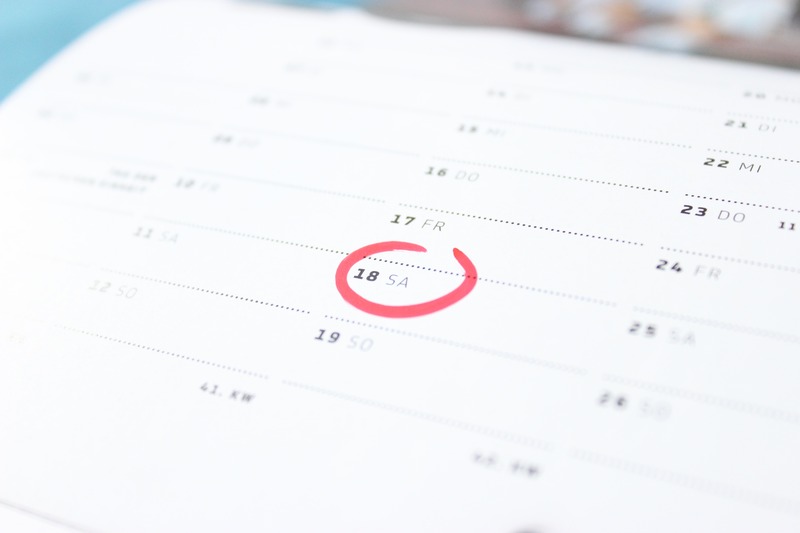 0 Comments/in HAND News, Member Events & Success Stories, Opportunities /by H.A.N.D.